Use brainstorming tools in six sigma to generate or capture a list of ideas for identifying reasons or solving problems. 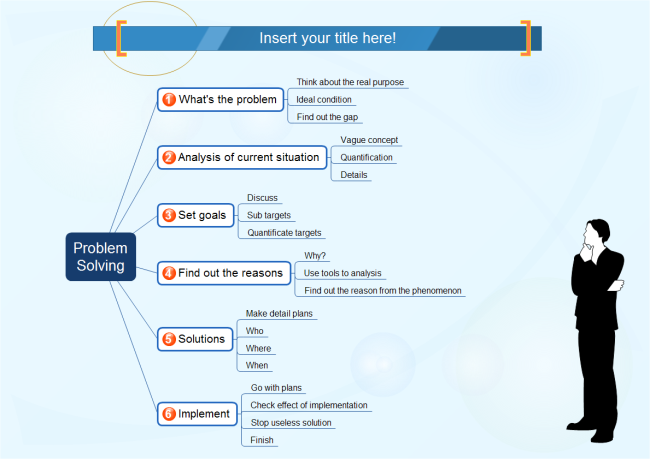 Gain free and good-looking brainstorming templates for your six sigma program. Brainstorming is a popular technique used to generate new ideas and possibilities. It's a classic method widely used in business activities such as problem solving, failure analysis, new product ideas, sales increasing, product improving, etc. In Six Sigma, brainstorming is usually most valuable during Define, Analyze and Improve phases. When a broad range of options are desired. When creative ideas are desired. When participation of an entire team is desired. A brainstorming diagram contains a root at the center with branches radiating from it, which can best represent brainstorming ideas. It is a visual thinking tool that helps structuring information, helping you to better analyze, comprehend, synthesize, recall and generate new ideas. Edraw gives an easy solution in creating good looking brainstorming diagrams. It offers lots of high-quality brainstorming diagram examples and templates aiming to help people visualize their thinking with the least effort. View more brainstorming examples and download a template best suits you from the template page. An Affinity Diagram is a tool that gathers large amounts of language data (ideas, opinions, issues) and organizes them into groupings based on their natural relationships. Use an affinity diagram to pull in many ideas from a group of participants before they are influenced by what others say. Below you can click the picture and download this affinity diagram template for your own brainstorming process. It's in vector format, available to modify and redesign. Easy to change the text box number, resize the boxes and change the diagram appearance. Fishbone diagram is a visualization tool for categorizing the potential causes of a problem in order to identify its root causes. It's one of the most basic yet powerful tools in brainstorming session. 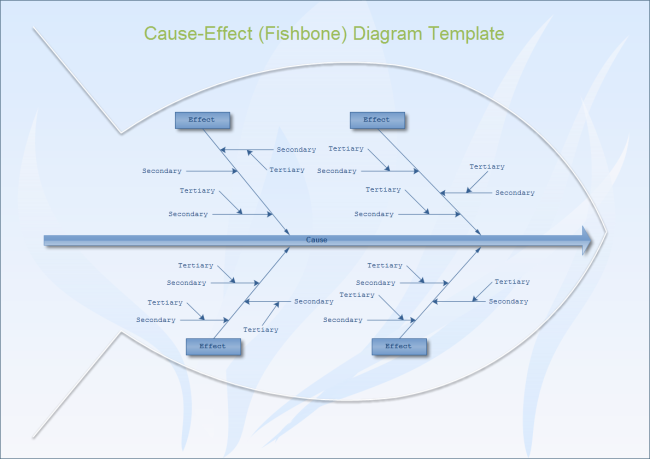 If you are looking for a nice fishbone template, simply go to fishbone example page, there are plenty of ready-made fishbone diagram templates available in use. Edraw is an all-in-one diagram software engaging in high-quality diagram designing solutions. Based on the advanced functionality and years of technology accumulation in diagramming, it has an exceptional advantage in creating all kinds of diagrams. Besides brainstorming diagram, Edraw also provides solutions for SIPOC diagram, Cause-Effect Diagram, Value Stream Mapping, DMAIC, QFD, Affinity Diagram, Scatter Plot, RACI matrix, PDCA cycle, and much more to help finish your six sigma. Among the best diagramming tools available, this software is perfect for experienced diagram designers or those who are just getting started. Download a free trial and see first-hand how quickly and easily you can create effective great-looking brainstorming diagrams.